Well, as discouraging as my experience with losing blog traffic has been; I have finally concluded that I need to share it so other bloggers can avoid my own pitfall. I’m going to share with you a little story on how I lost all of my blog traffic overnight- and how to deal if something like this happens to you. First, a brief history of Amy’s Art Table, formerly amy+mayd. I started blogging as a fun hobby way back in 2009. Right after architecture school and while planning my wedding, I started dabbling with the concept of blogging and documenting design projects of that era. No one read it, it was literally just for fun. The next year, I became a mother and decided to dabble once more with blogging. When my daughter was eight months, I had decided to stay home and was looking for a side income, I began to blog more with hopes of starting my own business. For years, I blogged sporadically with little traffic and while pregnant with a second daughter in 2013, I ramped up on blogging once more. I was slowly building a little following and began to write for money for other sites. 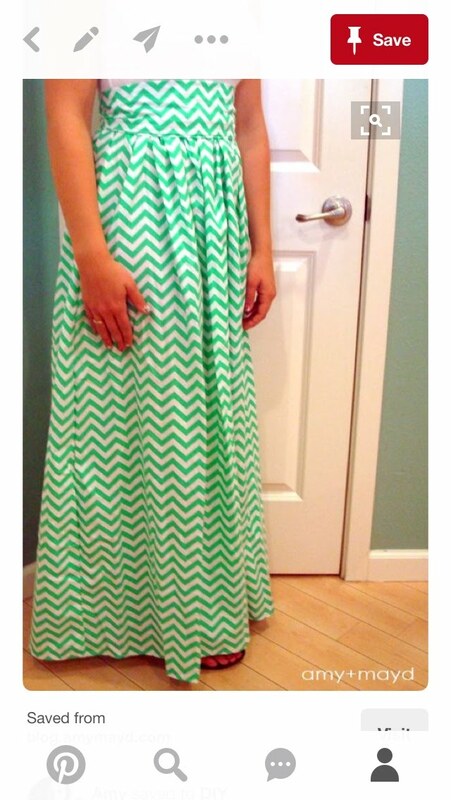 In May of 2013, I put out this post: “sewing a maxi dress” after I made this Chevron Maxi Dress for my sister’s birthday. You may recognize this dress from floating around pinterest? If you’ve seen this before and even if you haven’t, it’s the beginning of how I lost all of my traffic overnight. But back to the timeline. So I went forward with blogging while having my second daughter and made 2013 my most productive year. Tons of blog posts for my own site and other sites all while balancing motherhood with two young girls. It was a bit of a happy blur looking back at it and I am somewhat thankful for blogging (my arch nemesis) because I catalogued a lot of that time in writing. Fast forward to 2014, things are building steam but on the homefront my husband is looking into relocating our family for a job opportunity. Screeching halt. I slowly dwindled and then altogether stopped blogging by fall of 2014 because I was utterly overwhelmed with the moving/packing/selling a house/changing our whole lives with a now three and one year old in hand. Side caveat, I am one who has never had local childcare help as we have always lived at least one hour from family, so though moving and interviewing processes may seem doable with two babies, it is immensely harder with very little help. So blogging dreams on hold for a time. When the move was complete, I needed new creative inspiration and turned to painting. I began to paint a lot and waited a whole year to get back into blogging. I dabbled at the end of 2015 and a little in early 2016. In the Fall of 2016, I completed this great blogger course by Gemma Bonham-Carter (which I highly recommend) and my once scattered focus of blogging became clearer. I decided once and for all that I didn’t want to be a mom-blogger. I wanted to be an art/DIY/family educator and so I focused on starting Youtube art lessons and posting projects that were for kids to learn, families to complete together and art tutorials. And here is where I made a big boo boo. (Although, I don’t necessarily regret it). The thing that I did that I thought I had under control was changing my domain name. I changed it from amy+mayd to ekmom to amysarttable and I lost some major traffic. Why would I do such a mishmashed haphazard job of rebranding? Well, the reason is simple. My life had evolved quite a lot and I wanted my domain to highlight my blog/website’s focus. Amy+mayd reminded me of the fresh out of college, design student–not quite me anymore, and ekmom reminded me of being a mom blogger–also someone I decided I didn’t quite want to be. And why? After all I love mom bloggers, follow them and want to frame their gorgeous family pictures in my own hallway as welI but— I knew in my heart I didn’t want to be them. My family is just as beautiful and I have photography that can light up instagram in the very same ways as all of my mom blogging heros but–my family is sacred. Somehow, I just know in my heart, I don’t want to give up our privacy and I don’t want to regret putting my kids childhood online for all to see. No judgement, it’s just me judging myself. Back to the subject though, people change and migrate their blogs and don’t lose blog traffic correct? Yes. And I did this too but I forgot one small (now rather large) issue. Pinterest. The majority of my blog traffic was coming from pinterest pins I’d created that originated on amy+mayd. Still, I didn’t think much of this, I didn’t have THAT much traffic so if I redirected my site people would still be able to find me right? Short answer, no. So being cavalier, and a novice blogger, I let amymayd.com go back out into the internet floating far far away from me along with the ideals of my college graduate self. I must also mention the day that I let these old domains go, I was also pregnant with my third child and still focusing on painting and art tutorials and not altogether wrapped up in blogging, I considered it all hobbies/small victories at the time. I knew my direction but I wasn’t there yet and I felt fine with that. After all, I was a fulltime mom and really busy. My point is, I hadn’t checked these old pins in quite some time and I couldn’t believe what I found when I did. I was shocked, shocked is an understatement. I couldn’t believe that after all of these years some of my work had actually, gone viral? Ok, Ill be it, viral on a small scale, but to me, this was a big deal. 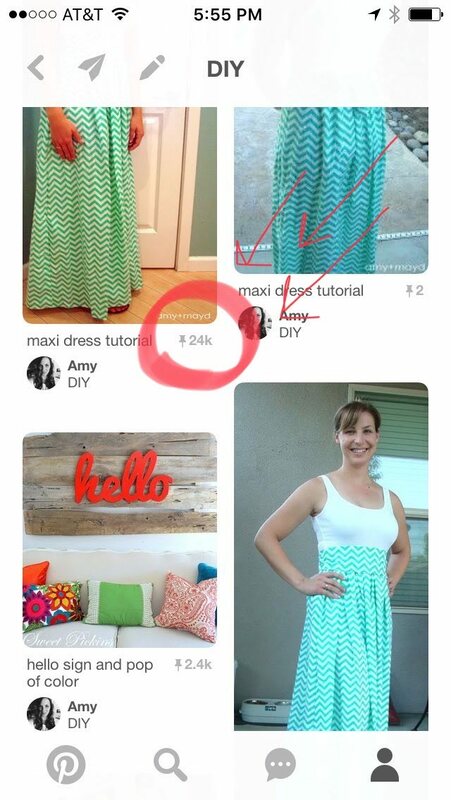 Some pins showed 24k repins, 27k repins and even 29k repins! And guess what those pins were? Dead Links. Yes, a link that goes nowhere. Jaw-drop. These pins were pointing to an old domain that I no longer owned that now would cost me $2k dollars to regain and fix. Do you feel my pain and shame here? So currently, someone is squatting this domain and will not release it for a reasonable amount and it will cost me at least $2k to get ahold of it. I’m not willing to pay that for the domain that I built the blog traffic for at the moment. Quite frankly, we’ve got three children and many other useful ways to spend a hard earned dollar and also because someone is trying to gain off of my hard work. Morally, I’m not willing to do it at this point. The next thing I had to do was actually utterly painful. 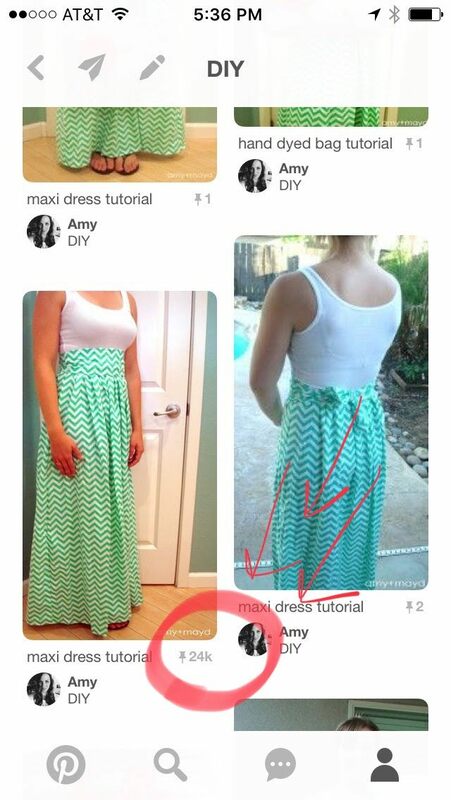 Pinterest does let you edit the original pinning address, if it’s your pin, but here’s the caveat–no repins will be visible. Once you change the domain, the pin date remains the same but the repin data is wiped. So painful. Hundreds and Thousands of repins that I had to lose in order to start the process of healing my blog traffic. But now it’s all done and if you see this dress pin floating around by all means, repin it so we can get this ball rolling back to it’s true viral position! Be extremely careful when choosing your blog/website name. I will never look at this scenario in the same light. And though I like the name Amy’s Art Table, I would have likely been better served to sit still on the old name amy+mayd. Consider pinterest!!!!! 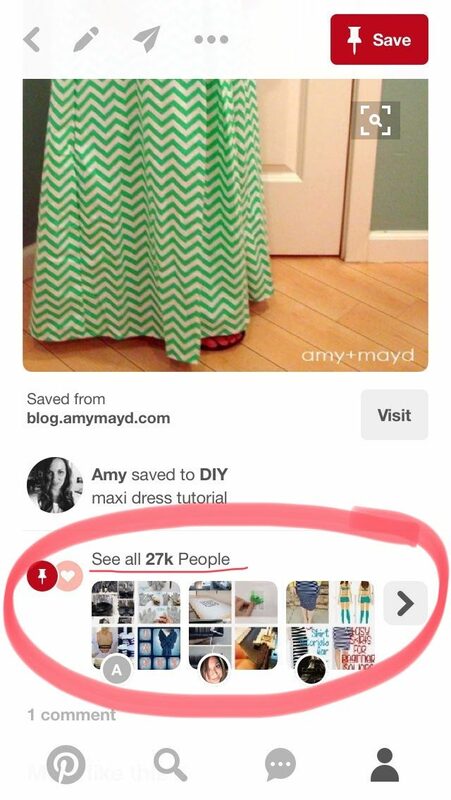 With the popularity and ease of use of pinterest, it has become a major player in the world of blog traffic and blogging. Follow your gut, sometimes, changing a name and redirecting your own pins (I still cringe) and also not purchasing a domain held for ransom are exactly how your true colors show. I just have to stay me and do what I think is right. Please learn from my dumb mistake! You can get it back, stay strong.